Why does the OP sprinkle white dots over dark areas? 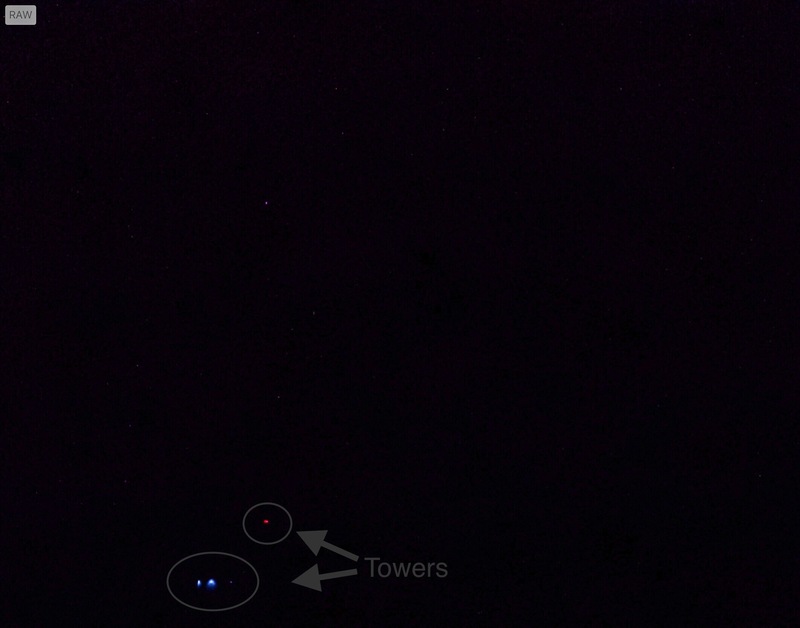 Here’s a cropped pic with the only the night sky (and two towers) showing. Those dots are not stars, days here without a thick overcast are far and few between this time of year. 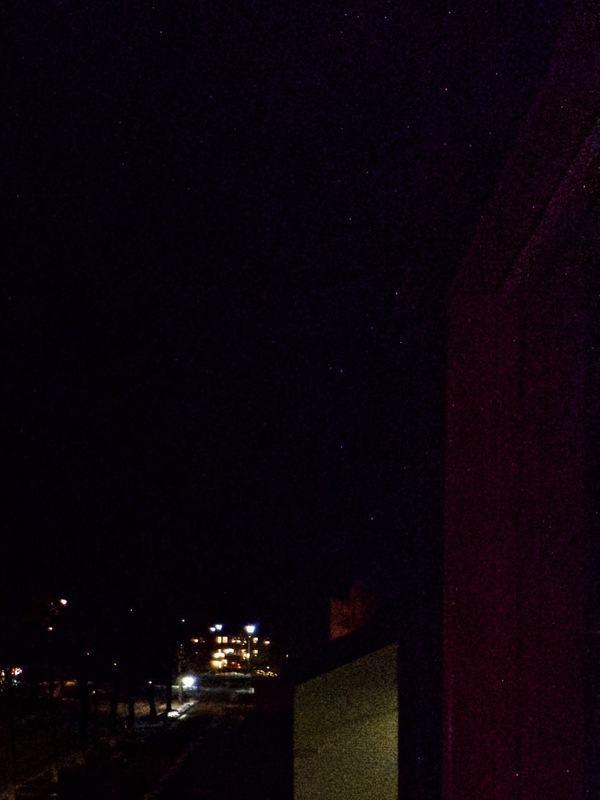 I could just as well take a picture of a darker corner in my apartment and there would be clear white dots sprinkled around, or crop out a dark building facade in the pic below, and so on. In the pic below the dots aren’t clear white, which might have something to do with all the colors below from the street (which is cropped away here). I’m not a pro, so I have no idea if it’s the sensor, or the software and what else it can be that’s causing these dots to appear on top of the regular/normal noise. Anyone know what it is? At high ISO levels there will be noise, that I obviously know, but these dots are something else. Never seen it before the Osmo Pocket. What you are seeing are dead pixels. When sensor chips are created there will always be a small amount of dead pixels, it is very common and even in pro gear we have these dead pixels. Normally cameras have masking software to go in and paint the dead pixels black so that they don&apos;t show. I assume that the Osmo Pocket most likely has some form of software that takes care of painting dead pixels. Most likely it will do a check at startup and deal with dead pixels then, but I&apos;m unsure if that is how the Osmo Pocket deals with them. All manufacturing of chip sensors have this problem as its currently impossible to make a chip with 0% of dead pixels and most manufacturers have an exceptabile percentage that they will allow before they scrap the sensor. Try restarting your Osmo Pocket and see if the dead pixels get masked or if they remain. Hope this helps! Ok so I think it’s safe to assume that my unit don’t take care of the pixels via the software, it’s been like this from the first firmware. Hmpf I hope DJI can chime in on this, I don’t want to remove loads of pixels in post on every photo. Is anyone else getting loads of dead pixels when taking a photo on the Osmo Pocket? DJI, here’s another pic, dots on my window frame to the right, part a facade and the sky. Yes your sensor does seem excessive, and it may be worth chatting to DJI. I have seen lots of red dots behind green leaves where should have been blue sky, first time I saw them I was confused but they don&apos;t always apear at the same place in every pictures so I doubt they are dead pixels, the shapes of those dots are round and smooth and have volume unlike a single pixel, they look more like some light effect cause by the tiny lense. I can not upload the picture since my current group in the forum dosen&apos;t allow me to upload any picture. Yeah if this doesn’t get better via firmwares I’m going to send it back to the store and have it fixed or exchanged. But would be great if the admins could send the pics and this thread to the people at DJI Osmo and see what they say. The admins are usually responding in every thread, I can’t seem to @ them to get their attention here though.